Seamstress realises a design created by a fashion designer. 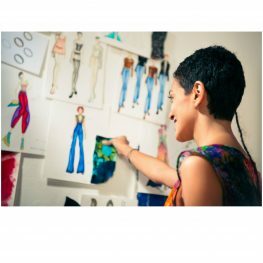 This course brings you through the design realisation process which covers design interpretation, body measurement, specifications, pattern drafting (draping), fabric cutting, sewing, finishing and fitting. You will work like a seamtress on a small project and make your own fashion garment based on a given design.